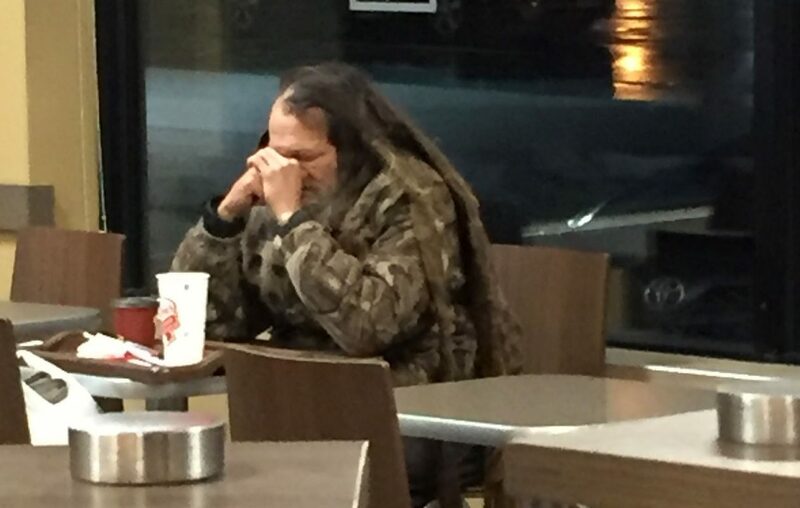 It seems everyone in Williamsville thought they knew Larry, the quiet man without a home who was a welcome regular at Tim Hortons, Tops Markets and the Walker Center. But no one truly did: His last name, his age and his backstory remained a mystery. Larry kept people at a distance, even those who tried to help him. They offered free coffee, meals, donations of cash and clothing, shelter from the cold and heat. He graciously accepted what he wanted and politely turned down what he didn’t. Williamsville embraced Larry, and the village is mourning his death. Larry – full name Lawrence Bierl – was found dead Thursday morning inside a bus shelter along Main Street just outside the village limits. He was 69 years old. “He was adopted by the Williamsville community, no doubt,” said attorney Paul Cambria, who once brought Bierl a Thanksgiving dinner. Niagara Frontier Transportation Authority police are investigating his death. 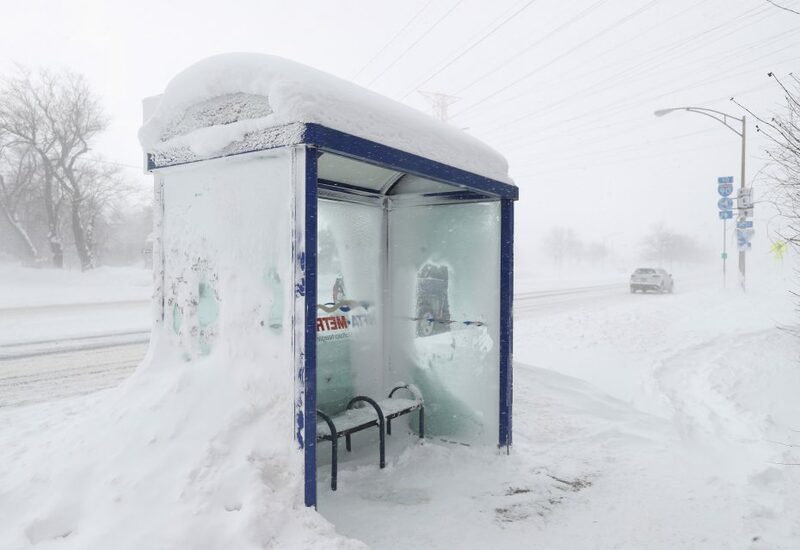 Temperatures had dipped dangerously low overnight Wednesday into Thursday morning, but NFTA spokeswoman Helen Tederous said the agency is awaiting the results of an autopsy to determine the cause of death. Bierl had family in the area, and Amherst police, Town Court, social services employees and many others who encountered Bierl over the years all tried to help. For the most part, officials said, he preferred his independence. It’s not clear how and why Bierl ended up living on the streets. In a 1997 profile in The Buffalo News, Bierl said he grew up in the Bailey-Delavan area of Buffalo. Bierl told The News he moved from the Kensington-Harlem area to Williamsville in the early 1990s. He declined to talk about his family, or to have his picture taken for the article, and only identified himself as Larry. 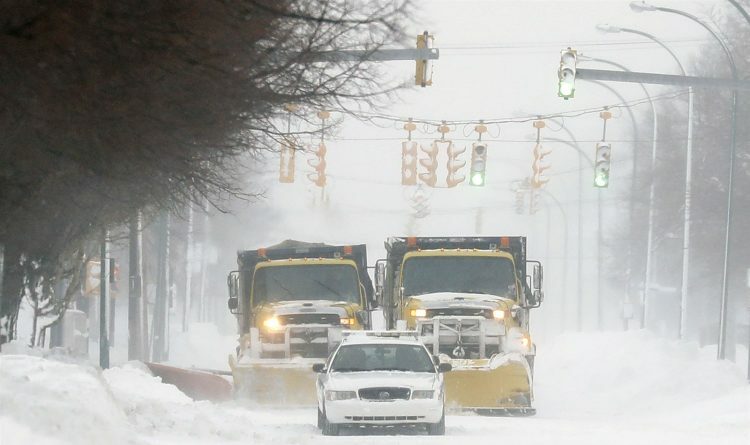 What were Western New York's coldest towns? He always had his hair in long dreadlocks that reached far down his back. He dressed in layers, especially in the winter. He walked up and down Main Street in the section just east of the I-290 interchange, residents say, frequently stopping at the Tim Hortons in the Walker Center, the McDonald’s near Union Road and Spot Coffee. Customers and employees in those stores offered to buy him a cup of coffee, or a meal, or gave him some money. Petri said he saw Bierl at Tim Hortons two weeks ago. He said another customer walked up to him and put $20 on the table. Bierl said thanks, took out a bag that held his savings and folded the new bill into it. “I don’t think he was ever really hurting for money,” Petri said. Christopher Schiller, a former employee at the McDonald’s, said workers would regularly leave meals for Bierl at the back door to the restaurant. Weinstein said Bierl went through an eight-month stretch where he stopped by Spot Coffee at least twice a day, usually starting around 6:30 or 7 a.m. He always ordered a small coffee, paid for it himself, and would sit in the shop for a few hours. Erie County Comptroller Stefan Mychajliw saw Bierl every Friday morning at the Tim Hortons and was struck by his gentle nature. The 1997 profile followed Bierl as he stopped at dumpsters, phone booths and elsewhere along Main Street, looking for bottles to return or coins to keep. But Amherst Police Chief John Askey and others said Bierl never panhandled and never caused trouble. Occasionally, someone who didn’t know Bierl would call police when encountering him for the first time. And sometimes Bierl would try to find an unlocked vestibule in the Walker Center where he could stay the night, and police would have to tell him he couldn’t trespass, Askey said. Once, in 2011, Amherst police picked Bierl up because they wanted to get him into court to see what more could be done for him. But nothing really changed. “We’ve tried everything,” said Amherst Supervisor Brian Kulpa, a former Williamsville mayor. Bierl did receive Social Security benefits, Askey said, and he did have a network of relatives, including brothers and sisters, who he turned to from time to time. Bierl often spent the night in an overgrown area between the ramp to the I-290 and the Walker Center, and sometimes he could be found at the nearby bus stop, across from a Sunoco gas station. “He knew how to survive,” said Cambria, who lived in Williamsville for more than 20 years. Bierl rarely went west on Main Street toward Snyder, but on Wednesday he did stop into the Reikart House, a luxury hotel that replaced the Lord Amherst hotel. General Manager Karen Oleszak said this was the first time Bierl came into the Reikart House, and she believes he did so because his regular Tim Hortons was closed in the face of Wednesday’s blizzard. She said a customer offered to pay for lunch for Bierl, but the hotel covered the cost instead. Bierl came in around noon and stayed until about 2 p.m. He returned around 5, and Charlie Barone, the Reikart House’s director of restaurant and beverage, offered him dinner, which he refused, and coffee that he accepted. He tried to pay but Barone wouldn’t have it. Bierl sat by the fire for a few hours. Barone said he tried to engage Bierl in conversation. Both Oleszak and Barone asked if they could give Bierl a room for the night, but he declined. Barone asked if he wanted to earn a few bucks washing dishes in the kitchen, because the regular dishwasher couldn’t make it in, but again Bierl refused. Barone also asked if he could drive Bierl somewhere, or give him gloves or a winter hat from the hotel’s lost and found, and again Bierl politely but firmly refused. “He said, ‘No, no, I’m good. Thank you,’ ” Barone recalled. Barone and Oleszak were crushed on Thursday to learn of Bierl’s death. “Larry was kind of like a legend in the area,” said Barone, who felt so guilty Thursday that he wished he had forced Bierl into a room at the hotel. “He would have just left,” replied David Chiazza, executive vice president of Reikart House developer Iskalo Development, who also knew Larry and grieved his passing. As news of Bierl’s passing ricocheted around social media, acquaintances were organizing a memorial service through Facebook for March. Donations would go to an area homeless shelter in Bierl's name.